Hopeful first-time home buyers in Virginia have access to state programs that can help them make a down payment or qualify for a home loan. For nearly 50 years, the not-for-profit Virginia Housing Development Authority has worked with lenders throughout the state to make homeownership a reality for thousands of residents. Since you’re doing a bit of research, it can’t hurt to look into national programs aimed at potential home buyers with modest incomes. You’ll find options for loans with low or no down payments. If you live in Virginia, VHDA programs offer first-time home buyers some unique benefits, ranging from down payment grants to federal tax breaks. Some programs allow zero down payment. Many loan programs are eligible for federal tax credits. 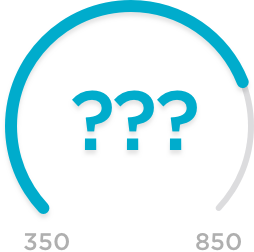 Required credit score varies by program; lowest is 620. Haven’t owned a home in the past three years (except in certain areas). Maximum income and loan limits vary by home’s location. The home must be your primary residence; no business use. Applicants must complete homeownership education class. For military members or veterans with service-connected disabilities, this program offers a grant of up to $4,000 to pay for home modifications that increase accessibility, such as widening doorways and adding wheelchair ramps. The VHDA issues Mortgage Credit Certificates to qualified home buyers who receive a loan commitment through an approved lender. It’s a dollar-for-dollar federal tax credit that may reduce your tax liability. And it’s valid for the life of your loan, while the home remains your primary residence. Identical to the Fannie Mae Preferred program in most respects, but you won’t have to pay mortgage insurance. That likely means your interest rate will be a tad higher. And your credit score needs to be slightly better, too: 660. USDA loans also offer zero down payments on homes in rural and suburban areas. The VHDA participates in a pilot program that allows the financing of existing manufactured housing up to 10 years old. USDA previously financed only new manufactured housing. Talking to a lender, preferably at least a couple, will get you started. Lenders affiliated with the VHDA know all the ins and outs and can help you navigate the process. Why talk to more than one? Because terms, interest rates and even customer engagement can vary from lender to lender. It’s satisfying to find someone you like to work with who also looks out for your best interests. For details on any Virginia Housing Development Authority program, visit the VHDA website. Here are lenders that participate in VHDA programs.